Last week I shared my little experiment in the kitchen making gluten free vegan choc chip cookies. The experiments continued and the result are these hazelnut, orange chocolate cookies. A sweet treat for those with a gluten intolerance, as well as vegan for those that swing that way. I do emphasis the ‘treat’, again there is sugar in these as they are not in anyway designed to be healthy. They’re biscuits, very tasty ones at that. I know you shouldn’t play favourites with your children, but out of my two recent vegan gluten free creations, these are my favourites. The hazelnuts make these a moist cookie and the orange zest adds a punch of orange. When you then add the chocolate in, they are a clear winner. 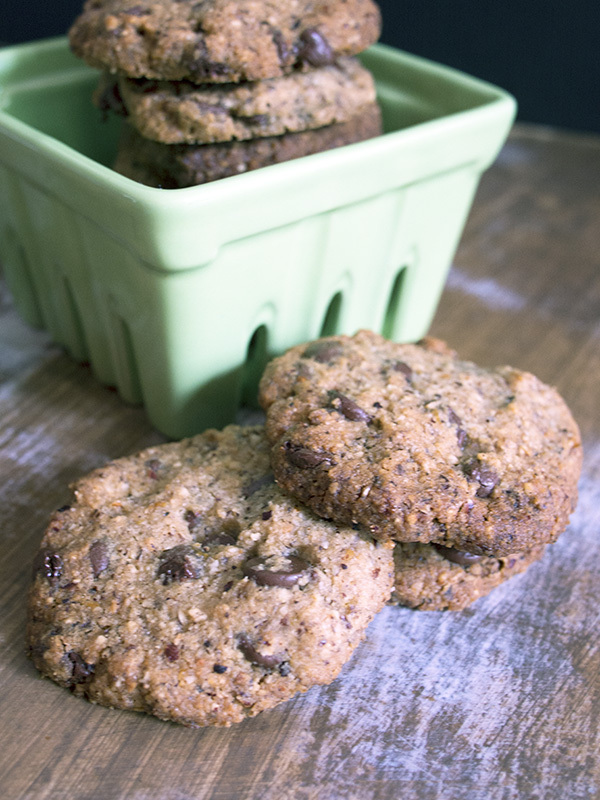 If you aren’t vegan, use normal choc chips, no need to seek out the dairy free variety. 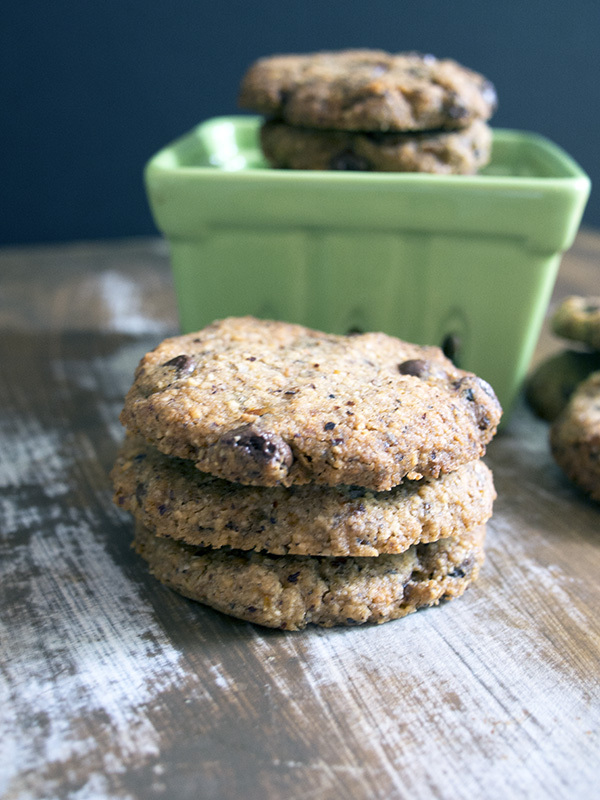 These cookies really are the perfect treat with an afternoon cup of tea. Of course if you don’t drink tea, I won’t force that upon you. But I do recommend giving these cookies a go. These cookies really are the perfect treat with an afternoon cup of tea. Preheat overn 165 deg C (330 deg F) and line a baking sheet with baking paper. In a medium sized bowl beat coconut oil and sugars. Once oil and sugars are completely combined add flour, hazelnut meal, orange zest, salt and continue to beat until incorporated. Your mixture will resemble breadcrumbs. Then add your almond milk a little at a time until your mixture comes together. Roll mixture into walnut size balls and place on lined baking tray. Flatten them out with the back of a fork or slightly wet fingers. These biscuits will not spread during the cooking process. Bake for approximately 25 minutes until they are golden brown. Remove from baking sheet and cool on wire racks. Cookies will keep for a week in an airtight container, unless eaten beforehand. Love the flavour combination of these! and the big chunks of chocolate look so inviting. Ooh hazelnut and orange sound like a wicked combo in a cookie! vegan, gluten free and chocolate? i like the sound and look of this :). thanks for sharing this recipe! Hazelnut meal! Oooh YEAH. That stuff is all sorts of amazing. These bickies need to be in my kitchen.